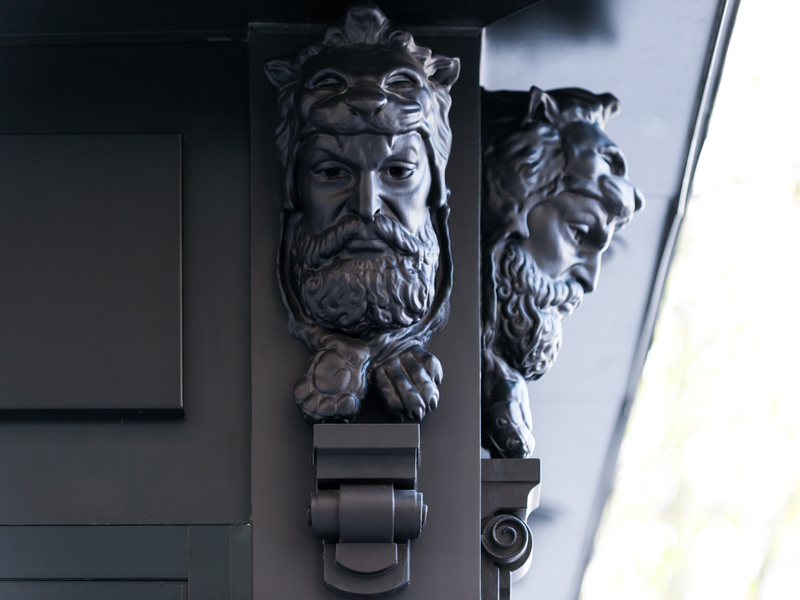 When the opportunity arose to create a new building on one of Stockholm’s most central and exclusive locations a fine balance had to achieved to create a contemporary structure which would fit into its classical surroundings as well as fulfill the potential of this extraordinary retail environment. 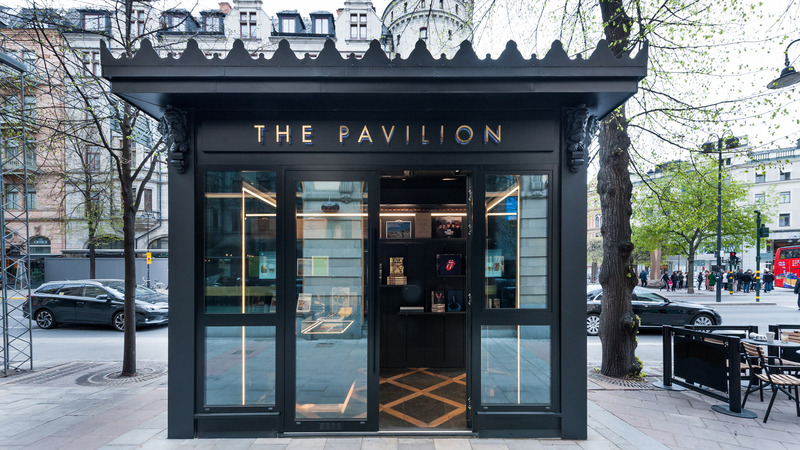 The retail space places high demands on both original interior fittings as well as creating a new intriguing space to both sell as well as promote a brand to the high demands of the modern consumer encapsulated within a unique shopping experience. 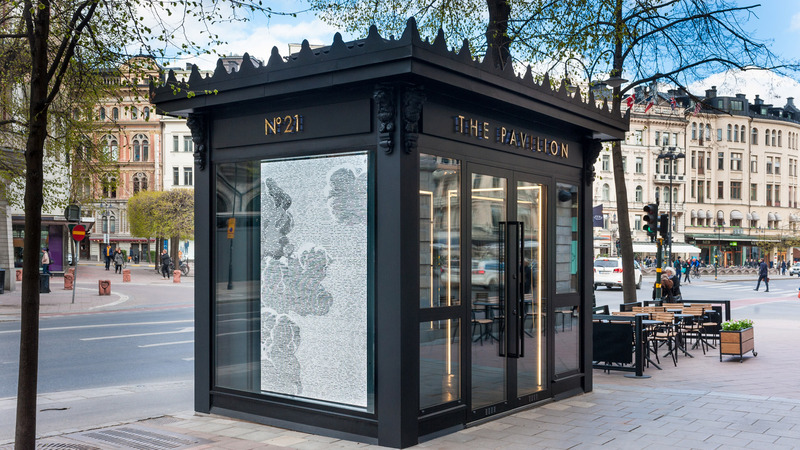 This high demand is made even more complex when faced with the challenge of designing both a lasting exterior architectural impression as well as creating a multi-functional advertising tool for an ever-evolving retail platform. 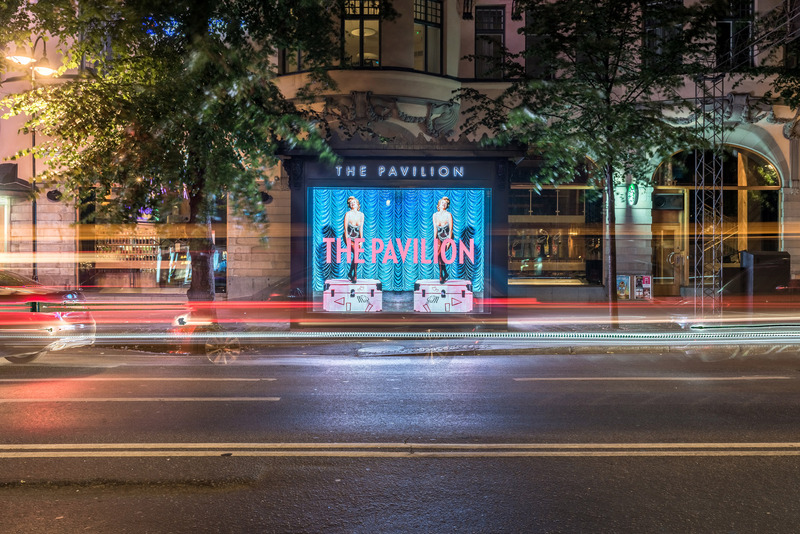 To design and build a new permanent Pavilion on one of Stockholm’s most central locations with the logistical limitations entailed. Conform to strict building codes to allow as much potential advertising exposure and at the same time offering a unique, functional and flexible retail space on a restricted footprint and further building constraints. Within this small space create both a flexible retail space as well as meet the technical demands of moveable screens to hold state of the art LED displays. By analysing the potential as well as limitations of the location define the parameters to develop the structure which now stands there today. 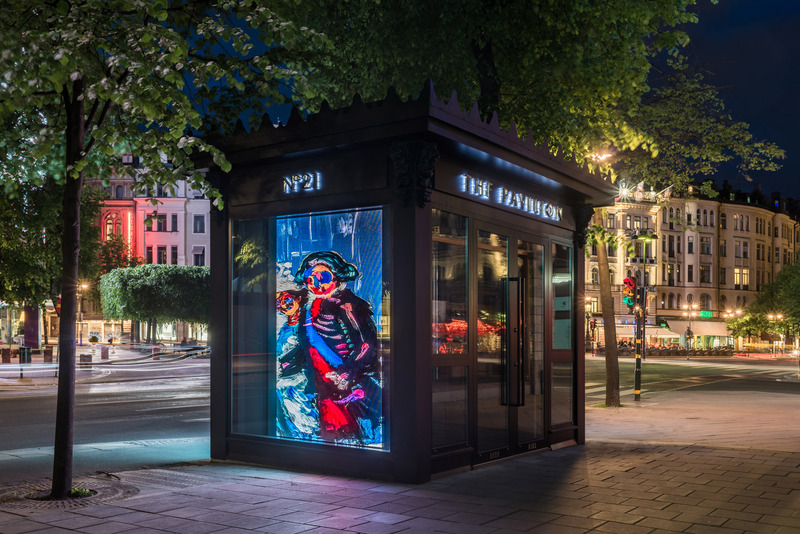 By adapting the client’s vision to align with the city’s guidelines as well as maximising the potential of both retail and advertising space within a unique structure. Through close collaboration with the client develop an innovative and practical proposal that met both the constraints of the site as well as creating the retail platform that can be easily adapted dependent upon the proposed occupier of the space. Solving the high technical demands of the building’s HVAC and MEP installations within the limited space available. Acting as both architect and project manager throughout the whole process from initial proposal, coordinating the consultants involved, up until the opening of the first retail campaign. 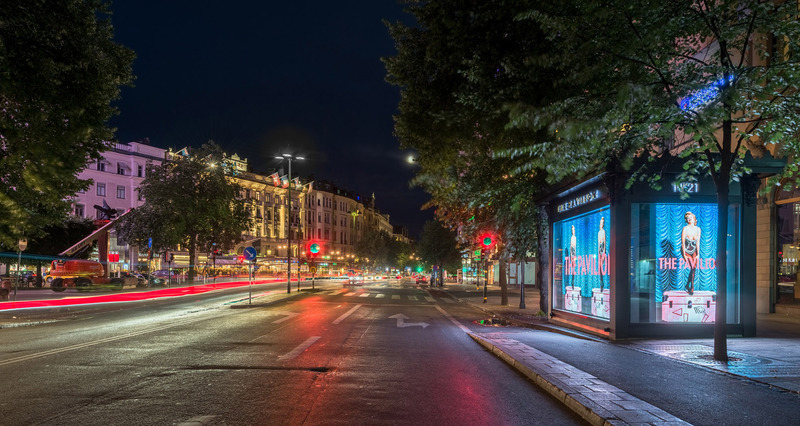 The offer of a unique retail space which allows the tenant to revolutionise their brand on advertising screens as well as physically display and sell their products within the building. The creation of a fully functional and flexible concept which can be applied in infinite number of constellations for a variety of products and brands. A permanent architectural addition to one of the busiest crossings in Sweden. 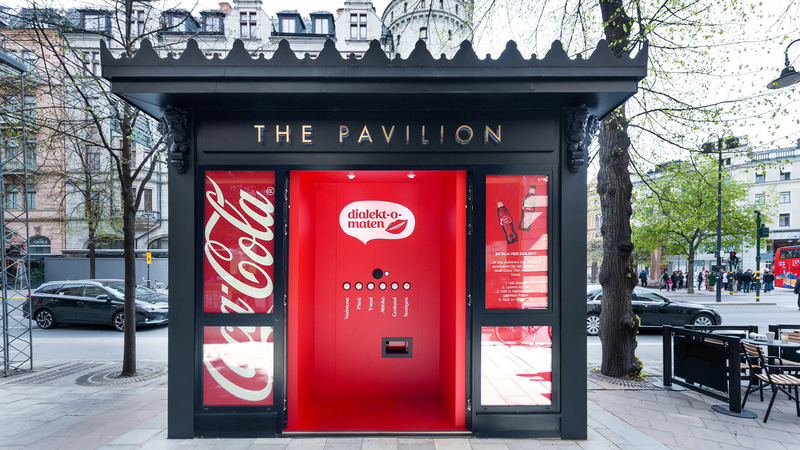 With the launch of the first retail concept for ‘Taschen books’ as well as Coca Cola several successful campaigns have already been implemented affirming its position as one of Stockholm’s most attractive advertising sites. 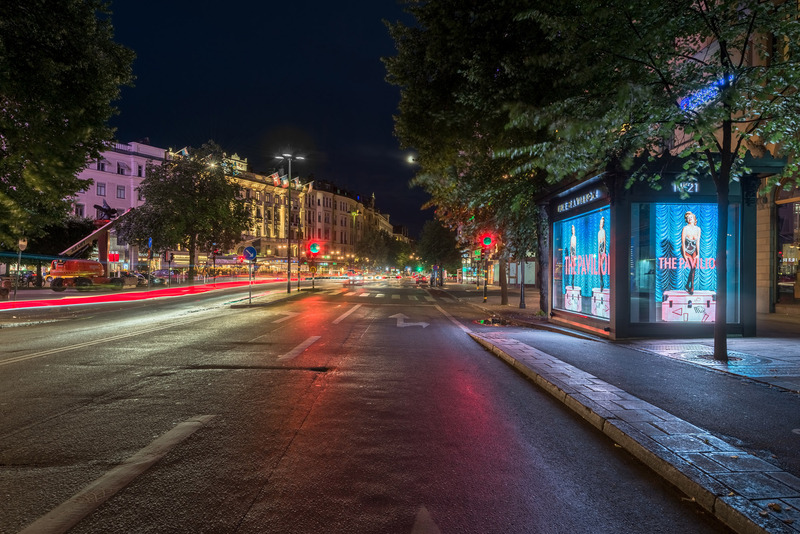 Activating the urban environment with multi-faceted advertising tool with unmatched viewing angles with full HD 2310×900 pixel screens.